Although mold is beyond the scope of my home inspection, during our home inspections mold questions sometimes come up. This blog will focus on mold in attics. The hope is that this can provide some useful tools for explaining this complex subject. If mold is found in a building, it needs to be addressed. There is an ongoing debate in the home inspection industry regarding mold testing and the effects of mold on our health. I wish to avoid that debate here, but simply state that there is only one way to control mold in buildings, and that is to keep them dry. Dry buildings do not have mold problems. Wet buildings have mold problems. If you have mold in a structure, I would suggest that you direct all available resources to diagnosing and correcting the water issue first. Why Is This More of an Issue in Prescott and not Phoenix? Building standards and practices are regional and regional environmental factors have an enormous impact on building design and performance. Put simply, if you live in a hot arid climate, you are unlikely to find this problem. This is a problem frequently associated with regions of the country that get cold in the winter. Why Do I Get Mold in My Attic? 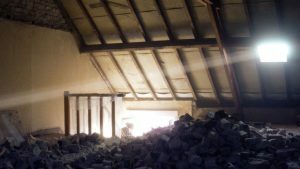 The reason attics are prone to mold-growth in some parts of the country is that in winter or during summer monsoons, the roof sheathing can get wet from condensation. Roof sheathing is vulnerable to condensation because warm, interior air can migrate into the attic where it will drop its moisture on the first cold thing it hits, which is the roof sheathing. This can lead to frost on nail heads, one of the leading causes of a condensation problem. The nails are even colder than the roof sheathing, so often the first place to reach dew point. Why is Warm Air Migrating into My Attic from My House? Houses are like chimneys. Cold air infiltrates down low and hot air escapes out the top; this is often referred to as the stack effect. A sheetrock ceiling with paint is called, in building science terms, a vapor diffusion retarder. This means your ceiling retards or slows the vapor moving through it. In most houses, the vapor diffusion retarder has lots of breaches and openings where interior air can easily pass into the attic—think can lights, fans, plumbing and electric chases and attic access hatches. 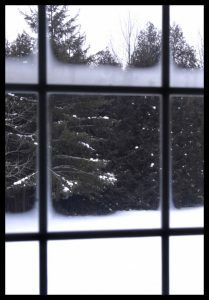 Can Adding More Roof-Cavity Ventilation Prevent This Seasonal Condensation Problem? Maybe. Adding more roof cavity ventilation may help but it could also make the problem WORSE. The best way I have heard roof cavity ventilation described is that it is like your backup parachute; you should not really need it if your house is dry. If the main parachute fails and your house starts to get too wet, you sure do want to have a backup. So, if your attic is nearing dew point, the flow of exterior air can help keep the wood sheathing dry. However, if you add too much ventilation, you can create a negative air pressure in the attic and exacerbate the stack effect and pull MORE interior air from the house up into the attic. In some cases, adding more roof cavity ventilation can worsen the situation, especially if the holes in the vapor diffusion retarder (the ceiling) have not been systematically sealed first. Is Mold in the Attic Likely to Affect the Indoor Air Quality in the House? Not necessarily. Logically, mold in the attic is not likely an indoor air quality issue due to the stack effect. Mold in a crawl space below your house could contribute mold spores to interior air, which is no guarantee of a health hazard, but simply a statement of fact: we breathe the air that is below our house. But most of the air in your attic is going up and out the upper roof cavity venting and not into your house. There could be exceptions such as a leaky cold air return in an attic that pulls attic air into the house. Is Mold in My Attic Likely to Affect My Enjoyment of My House? No. Unless you have a significant problem, the mold and seasonal condensation in your attic could go undetected for years. The one area of concern would be the indoor relative humidity inside the house. Because this seasonal condensation problem in your attic can be related to high relative humidity inside the house, there is a chance you have a more problematic moisture problem inside that you would need to diagnose and repair. A simple example would be water accumulation in the crawl space below your house. You might start to see signs of this inside like condensation on window frames and toilet tanks. 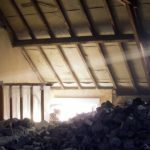 Could Mold in My Attic Impact the Resale Value of My House? Yes, mold can impact resale value. This is the best reason to have attic mold problems treated professionally. Because condensation is a seasonal problem related to dew point, relative humidity and occupant behavior, it is difficult for an inspector to determine if an attic condensation problem is active or not. In addition, when homebuyers see mold on roof decking, they can’t un-see it. If they are unfortunate enough to watch any form of reality TV, they probably think it will kill them and, in my experience, there is not much I can do to convince them otherwise. As I see it, mold remediation companies create value by putting their name on a seasonal problem when it arises during a real estate transaction, so you want to choose a reputable company that has been in the business for a while and will stand behind their work. A good company will diagnose the water problem first and foremost. 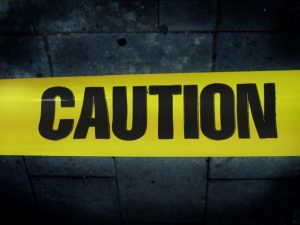 They will look inside the home for issues that could cause high relative humidity and then shift their focus to the air barriers that separate the house from the attic. They will also evaluate fan terminations and roof cavity ventilation in the attic to try and prevent further condensation. Finally, they will remove or encapsulate any existing mold on the framing. Once the framing is cleaned or painted, it provides a fresh surface for monitoring to see if the condition returns. Can People in the House Contribute to Attic Mold Problems? Yes. We call this occupant behavior. Remember that people are constantly dumping moisture into a house by breathing, cooking, bathing… and even with hobbies such as aquariums and indoor plants. 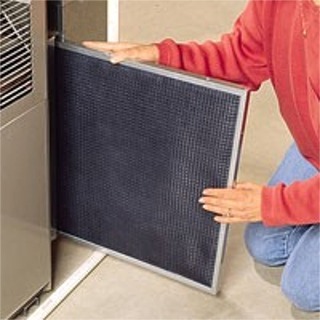 The objective in winter months is to keep indoor relative humidity around 50–55%. 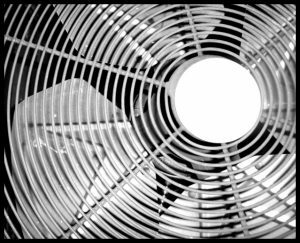 You can often accomplish this by using bath and kitchen fans to exhaust moist air to the exterior. 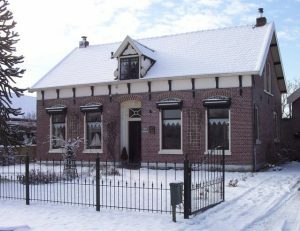 In especially cold climates, or with high-efficiency construction, houses may be equipped with heat recovery ventilators; these facilitate air changes in the house without losing too much heat in the process. Small, modern houses with lots of people living in them are prone to high relative humidity and mold problems. This is especially true of houses that have electric resistance heat such as baseboard heaters. How Do I Know If I Have an Active Condensation Problem in My Attic? Attic condensation problems are seasonal and can vary depending on occupant behavior, so they can be difficult to understand, especially during a real estate transaction. The best time to check your attic for condensation is in the winter, first thing in the morning, when you see frost on the grass outside. These are the mornings I frequently find condensation in the attic. By now you should understand both why an attic may be getting wet and how to deal with a mold problem: stop the water! Whether you live in the Phoenix area, or in Prescott, it is important to know how to winterize your home. 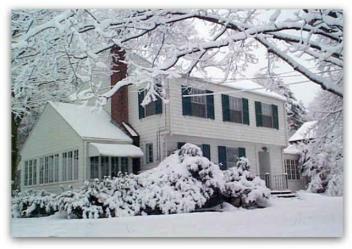 Winterization is the process of preparing a home for the harsh conditions of winter. 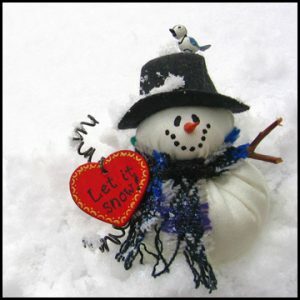 It is usually performed in the fall before snow and excessive cold have arrived. Winterization protects against damage due to bursting water pipes, and from heat loss due to openings in the building envelope. One additional service that I provide as a home inspector is to watch over your vacation homes during your extended absence, and can work with you to make sure the home is winterized. But for those doing it themselves, here are some guidelines. If you are leaving for extended periods of time and want us to check on the home during your absence, we are happy to help. As always, let us know if you have any questions about how to care for your home. Greetings from Prescott Valley, Arizona. Just want you to know that we are always here for you if you need a home inspection done, whether it is a holiday of not, and we look forward to working with you in the new year! In the meantime, from all of us here at Sonoran Property Inspections (and by all of us I mean Jerry, Pam, and the Golden Retriever!) we wish you a warm and happy holiday season, and a peaceful and prosperous new year! All we need now is just a little snow. Since it is the first thing a buyer sees, the entryway is an important space within a home. It sets the stage for the whole tour of the home. Buyers will form opinions on a home within seconds of opening that front door. Here are some ways to improve your entry. The door is the first thing visitors focus on at any home’s entryway, so make it special. Paint it a bold color or add gorgeous greenery via a seasonal wreath. You can complement the home’s style and make a statement within a reasonable budget. Create a welcoming vignette of furniture that beckons guests to the door. Design a space for dropping keys and handbags, and a place to sit and remove shoes. Think elegant console tables with drawers (that hide the clutter), woven baskets, and an antique rug. You can take these new goodies with you when you move too! These are great tips even if you are NOT selling the home! So make that entry something special, and enjoy it while you are living there too. The home inspection is an important step during the buying process, but for some reason, it is a step that can give some buyers—and even some seasoned real estate professionals—an awful fright! So, in honor of Halloween, here are my 5 Ways to Make the Home Inspection Less Spooky! For Prescott area and Phoenix metro area inspections, we are here to help. Home inspections are just plain scary. The truth is, we aren’t scary people and we are here to educate, not get you shaking in your boots. 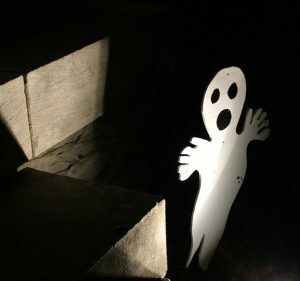 What makes home inspections scary for some is actually past experiences, disappointments or just plain nerves. The good news is that picking the right inspector makes all the difference. Relax – everything will be okay. Maybe this house is more work than I thought. The home inspection is often the first time you will look at the house more “analytically” instead of “emotionally.” It can be difficult if you are not prepared for the step-by-step evaluation of the house. But if you are prepared for the slight change of perspective that the home inspection may bring, the process becomes less scary. The house is not perfect anymore. Ok, but rest assured, there is no such thing as a perfect house. Prepare for the fact that some defects may be found in the house, but keep in mind that every house—even a new house—has some. We will help you distinguish between big problems and small ones. Ask questions after the inspection. Think about your concerns and needs prior to that day and make sure you get the answers you require. The house is great, but the report still mentions a lot about required maintenance. Buying a home is similar to buying a pre-owned car. One must always expect maintenance and some unexpected repairs. No inspection can completely eliminate all risks, and all homes require maintenance, repair, and care. It is important to be comfortable with this concept prior to the inspection experience—especially those who have never owned a home before. For what they are asking for this house, it should have been flawless! Unfortunately, home price and home condition do not go hand-in-hand. Price has much more to do with location and the market conditions than anything else. After all, even million-dollar homes have defects. So no matter what the purchase price, avoid falling into the trap of expecting a flawless house. Don’t you hate it when you are in the shower and someone else in the house flushes a toilet and you get burned by hot water? I do test water temperature when I do a home inspection, but sometimes these fluctuations don’t show up until later. So let’s talk a little about anti-scald valves. 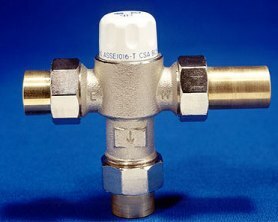 Anti-scald valves, also known as tempering valves and mixing valves, mix cold water in with outgoing hot water so that the hot water that leaves a fixture is not hot enough to scald a person. The actual temperature of the water that comes out of the fixture may be somewhat different than the target temperature set on the anti-scald valve. 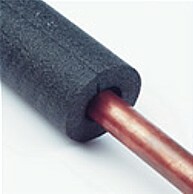 Such irregularities may be due to long, uninsulated plumbing lines or defects in the valve itself. Users may fine-tune the valve with a rotating mechanism that will allow the water to become hotter or colder, depending on which way it’s turned. Homeowners may contact an InterNACHI inspector (like me) or a qualified plumber if they have further questions or concerns. We recently attended a Prescott Area Association of Realtors membership brunch where the topic was Realtor safety. While this blog article is not about home inspections, or home maintenance tips, it is an important topic for all agents. Too many times an agent is vulnerable to crimes just by virtue of the job. So we want to share some of the tips we learned, and remind everyone in this industry to stay safe out there. As a home inspector here in Arizona, I am seeing more engineered wood flooring being installed in homes that I inspect. 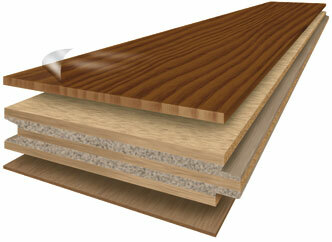 Engineered wood flooring is an alternative to solid hardwood flooring made entirely out of real wood. It’s currently the most popular type of flooring in the world. North America is the only area left where traditional, solid wood floors still outnumber engineered floors, but engineered wood flooring is quickly catching up, with the rate of use for new builds, as well as remodels, increasing steadily every year for the past few decades. As a homeowner you may be interested in how this product is manufactured and installed, and what its advantages are compared to older, more traditional forms of flooring. The beginnings of mass-produced wood flooring can be dated as far back as 1903, when an E. L. Roberts mail-order catalog offered “wood carpeting.” This flooring consisted of 1½ x 5/16-inch wooden strips that were glued to heavy canvas that was then installed by tacking it down with brads. The wood was then sanded and finished. The varnishes used were usually slow-curing tung oils from China. These were not durable in themselves, so the floors were hot-waxed and buffed to a shine with a floor brush. Early examples of the “wood carpet” eventually evolved into more modern iterations, such as laminate flooring, which consists of melamine-infused paper as its upper layer, and wood-chip composite beneath. 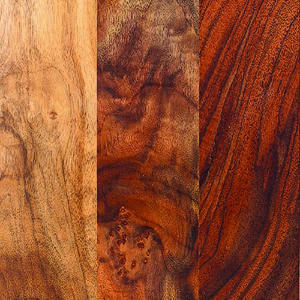 Laminate flooring typically features a printed or embossed top layer meant to approximate the look of real hardwood. The current incarnation of engineered wood flooring has been available since the 1960s, and has steadily increased in quality, leading to improved advantages over traditional hardwood flooring. Some engineered flooring utilizes a finger-core construction, with a substrate comprised of small pieces of milled timber running perpendicular to the lamella. This can be made with an additional layer of plywood running parallel to the lamella, which gives it added stability. Fiberboard-core flooring is also available, but it’s generally considered to be an inferior option. Engineered wood flooring is meant to be indistinguishable from traditional hardwood floor once it’s installed, and only the lamella is visible. The lamella veneers available are made from nearly every type of common wood, as well as many more exotic ones, in order to provide the same variety of aesthetics typical of quality hardwood floors. 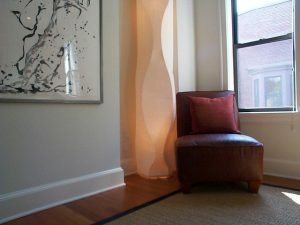 The substrate that the veneer is attached to is just as strong and durable as hardwood — if not stronger — and the finish applied at the factory often outlasts one applied on-site to solid wood flooring. Even surface effects are available that can be applied to the finish to give the flooring a time-worn look, such as light distressing. Some types of engineered floor are designed with milled tongues and grooves that lock together without glue or fasteners. It’s the quickest and cleanest installation method. While solid hardwood is a great traditional building material that provides aesthetically pleasing and structurally sound flooring, it does have its limitations. 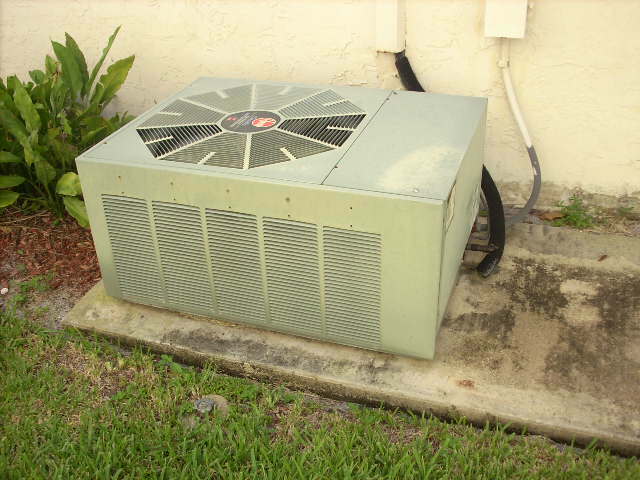 For example, it cannot be installed directly on concrete or below grade, such as in basements. It is generally limited in plank width and is more prone to gapping, which is excessive space between planks, and cupping, which is a concave or “dished” appearance of the plank, with the height of the plank along its longer edges being higher than the center with increased plank size. 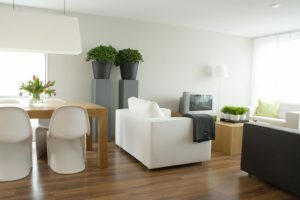 Solid hardwood also cannot be used where radiant-floor heating is in place. Drying time for the finish is eliminated because it’s pre-applied at the factory. Engineered wood flooring is increasingly the first choice for floor installations, and its advantages, in many circumstances, can be exceptional. Homeowners with a little DIY experience can usually install it themselves. Inspectors are likely to encounter it in new builds as well as remodels even more frequently as it continues to gain in popularity every year.